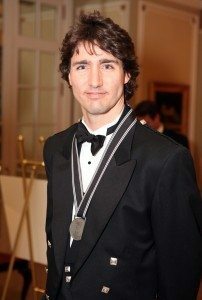 Justin Trudeau, federal MP and, obviously, son of the late subject of English’s prize-winning bio. 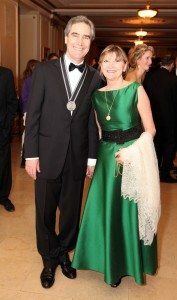 Liberal leader Michael Ignatieff and his wife, Zsuzsanna Zsohar. 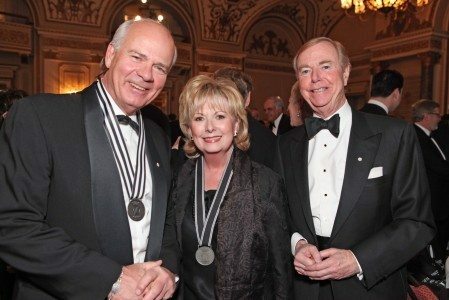 CBCers (former and current) Peter Mansbridge, Senator Pamela Wallin, and Don Newman. 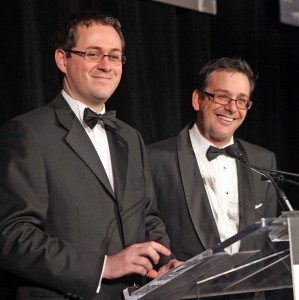 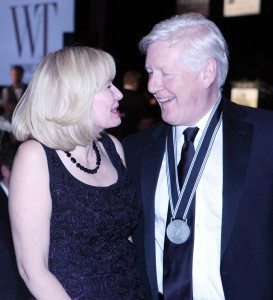 Politics and the Pen co-chairs Patrick Kennedy and Charles King. 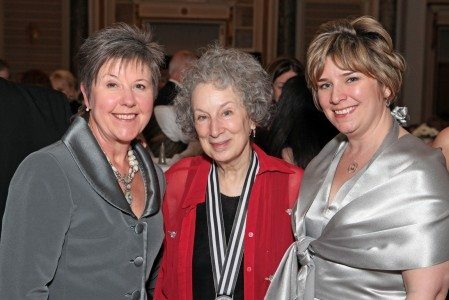 Clare Carey, wife of the British High Commissioner, Margaret Atwood, and Jacqueline LaRocque, manager of public policy at GlaxoSmithKline. 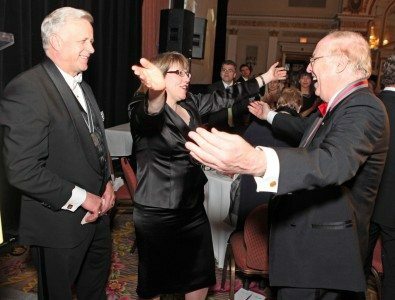 Former deputy PM (and the evening’s co-host) Anne McLellan abandons Ottawa air-kiss protocol and moves in to hug prize-winner John English while MP Jay Hill (the evening’s other host) either awaits his turn or looks on nervously.